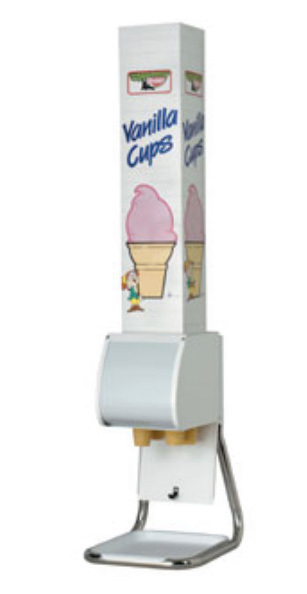 With a 50 year commitment to manufacturing cup dispensers for the foodservice industry, DISPENSE-RITE's expertise ensures your correct product selection and complete satisfaction. 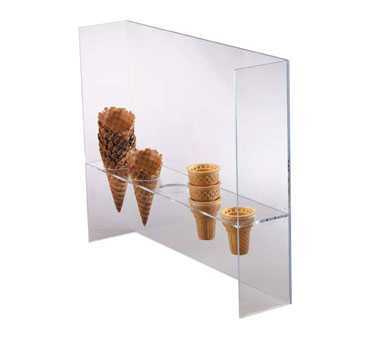 BCDS-BFL boxed cone dispenser stand for use with most popular box cone sizes. Hinged door closes when not in use to maximize cone freshness. Removable crumb tray simplifies clean up. Chrome plated legs can be easily removed to allow for wall mounting. 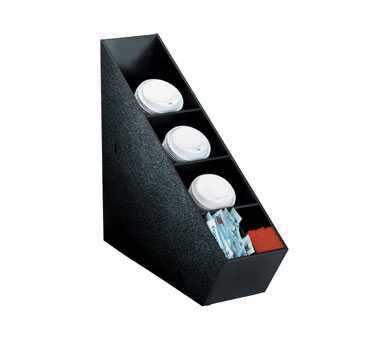 HLCO-3BT multi-purpose organizer features durable polystyrene construction. 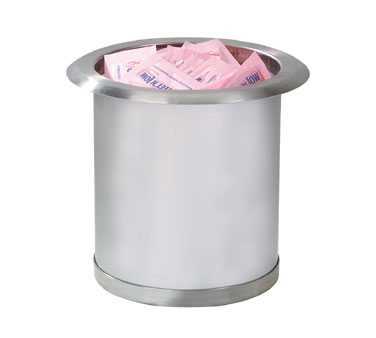 For use with cups, lids, straws, stir sticks and condiment packets. 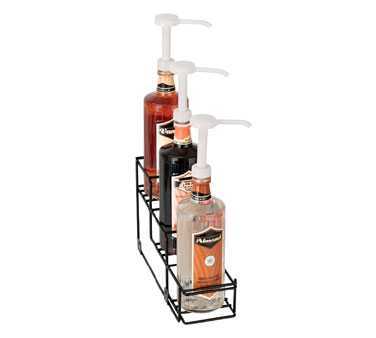 This unit can be mounted to a wall or surface or used as a countertop organizer. 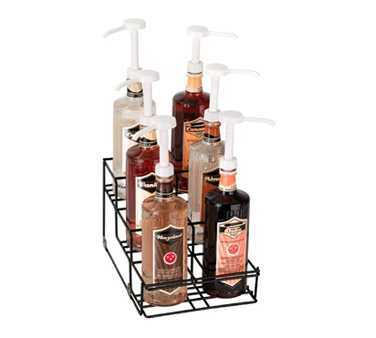 PL-CT-LID countertop lid organizer accepts lid sizes up to 44 oz. 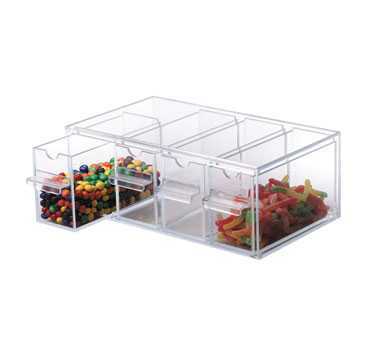 Divided front storage compartment can be used for packeted condiments or stir sticks. 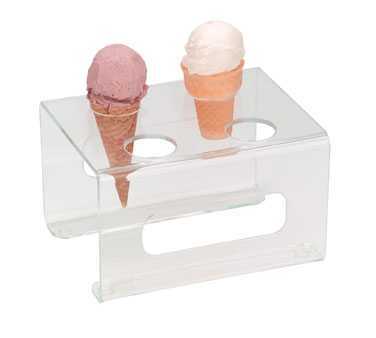 TCD-1 drop-in small condiment holder features quality stainless steel construction. Welded bottom cap eliminates all sharp edges. 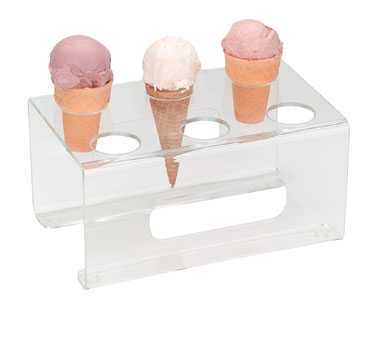 Condiment Holder, built-in, large, 7-5/8" dia. x 6" long, 6-1/4" cut-out, stainless steel construction TCD-2 drop-in large condiment holder features quality stainless steel construction. Welded bottom cap eliminates all sharp edges. Packeted Condiment Organizer, wire rack, 6 detachable plastic bins, 18-3/8"H x 11-1/2"W x 15-3/4"D, black WR-COND Series countertop organizers provide versatile dispensing applications. Includes removable plastic storage bins. 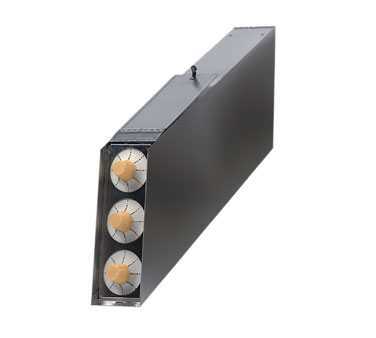 Units can be attached together to create multiple dispensing configurations. 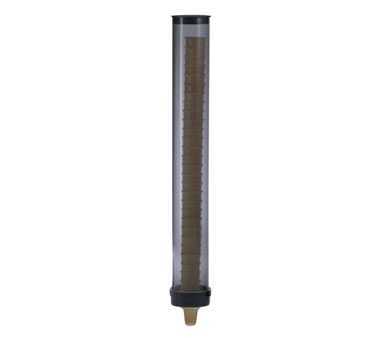 Reinforced welded construction and durable powder coated finish provide long term reliability. 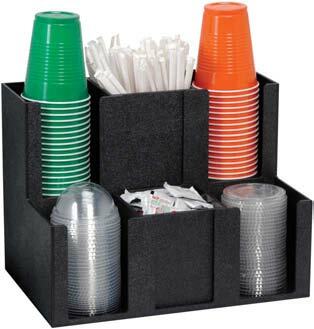 Lid or Condiment Organizer, 3 section, 16"H x 5-1/4"W x 6-5/8"D, polystyrene, black VCO Series countertop units feature durable polystyrene construction and are ideal for use with condiment packets or lids. 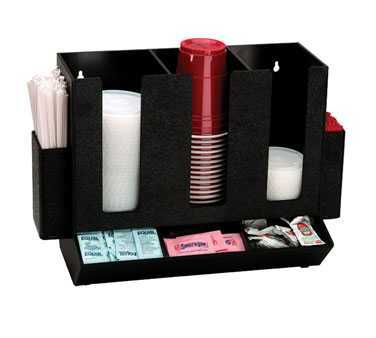 Lid or Condiment Organizer, 4 section, 21"H x 5-1/4"W x 6-5/8"D, polystyrene, black VCO Series countertop units feature durable polystyrene construction and are ideal for use with condiment packets or lids. 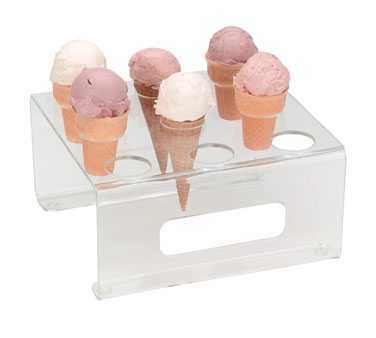 Lid or Condiment Organizer, 6 section, 16"H x 10-1/8"W x 6-5/8"D, polystyrene, black VCO Series countertop units feature durable polystyrene construction and are ideal for use with condiment packets or lids. 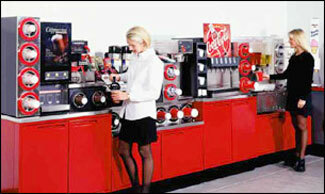 dispensing millions and millions of cups year after year. 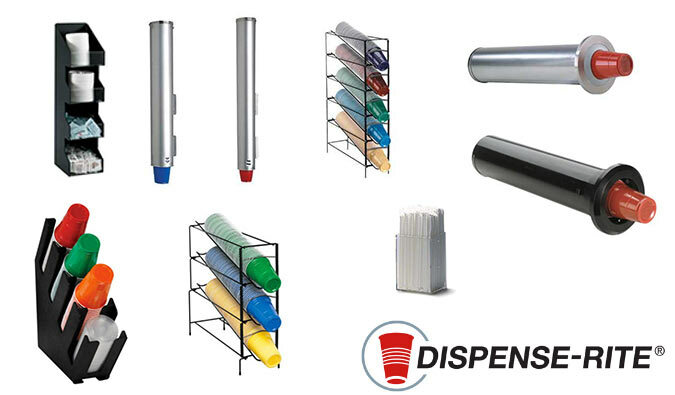 All DISPENSE-RITE products are manufactured to the highest standards in design, materials and construction. We are committed to achieving complete customer satisfaction through product excellence, personal attention and prompt service. 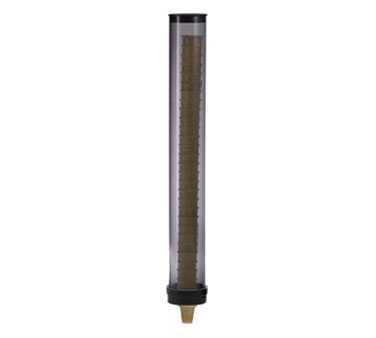 The professional assistance of a DISPENSE-RITE representative, combined with the information provided on this web site, is a reliable source for meeting your present and future dispensing requirements. 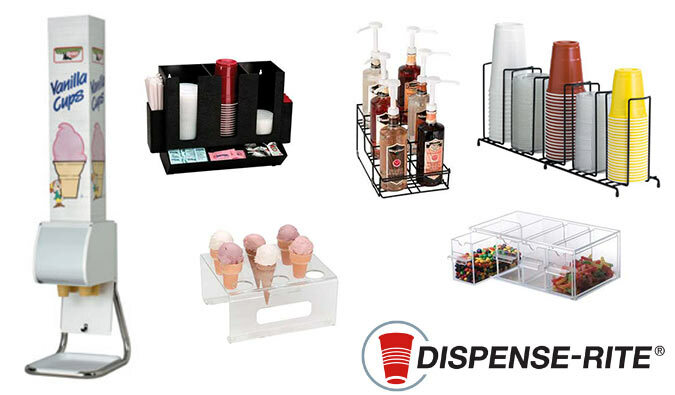 Let DISPENSE-RITE introduce you to the world's largest selection of quality cup dispensers, as well as a complete selection of dispensing products for lids, straws, condiments, napkins and ice cream cones.